L Shaped Spreader is smooth spreader enables even spreading of liquid samples across the surface of a jar plate without grouping & cutting the medium. 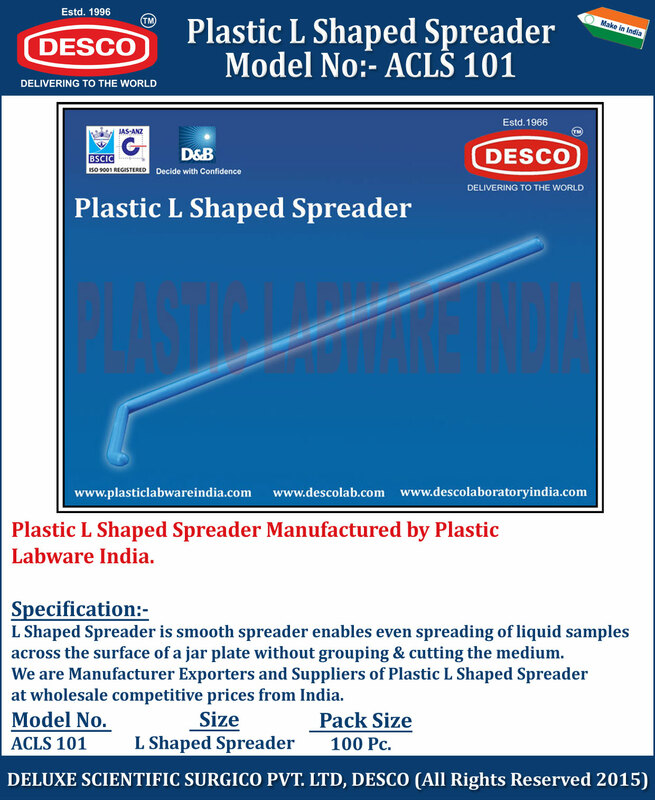 We are Manufacturer Exporters and Suppliers of Plastic L Shaped Spreader at wholesale competitive prices from India. ACLS 101 L Shaped Spreader 100 Pc.